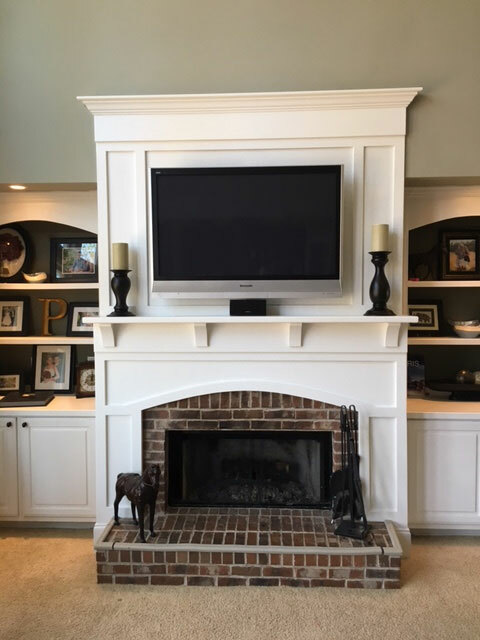 Suzanne from Georgia sent in some beautiful pictures of her recently completed living room project. 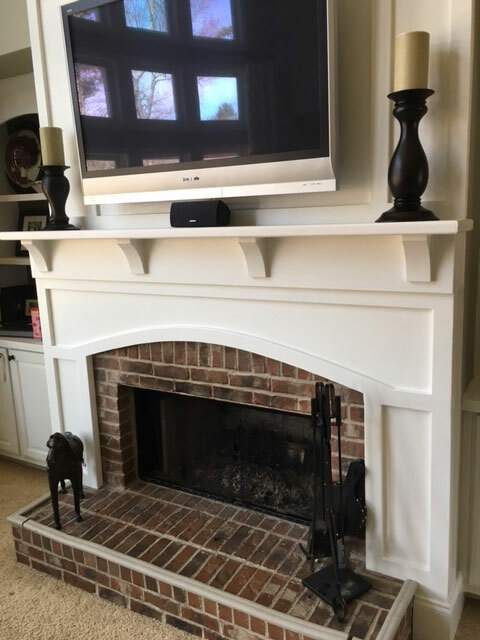 She used four of the Ekena Millwork rubberwood small Lawson wood corbel to support her new mantle shelf. “These matched the style/look we were going for perfectly,” she stated in her email to us. We always love hearing feedback from our customers! 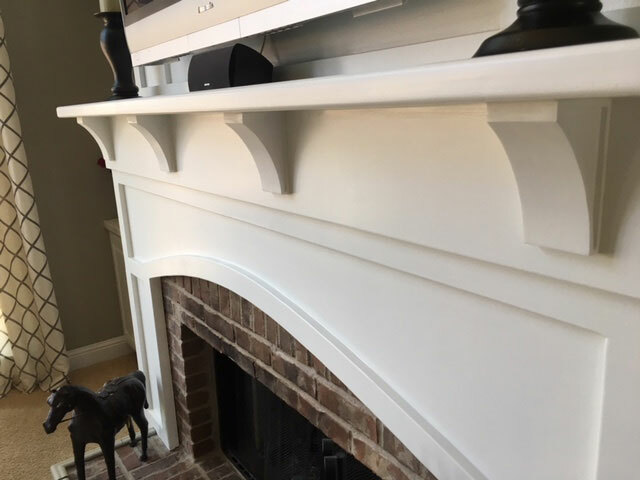 The Ekena Millwork small Lawson wood corbel comes in a variety of sizes and wood species. Each wood corbel is carved from the highest quality of wood that passes the quality control. Customers typically use the wood corbels to support mantels, cabinets and counters. 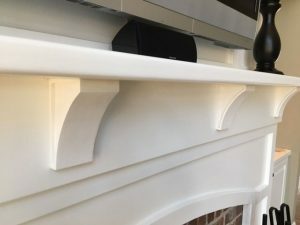 When installed correctly, the corbels can support weight with ease. This product is delivered fully sanded and ready to paint or stain. Check out the full collections of wood corbels via the link below!